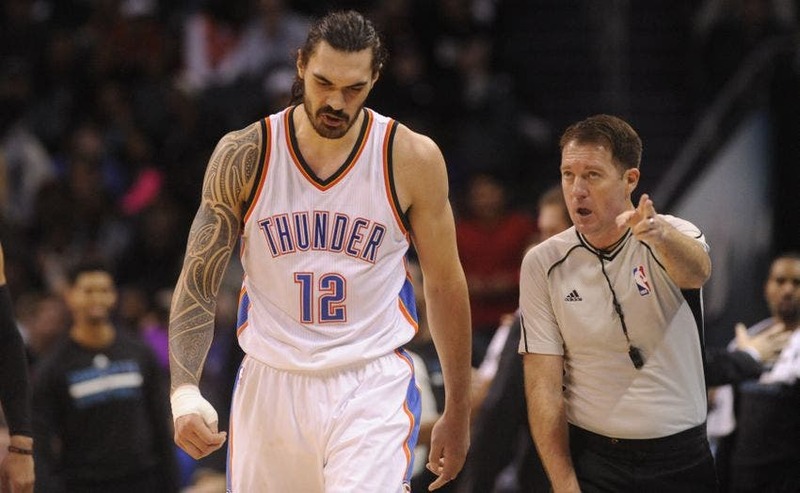 At this point Steven Adams is a household name, the long-haired Kiwi serving as one of the breakout stars in last year’s NBA playoffs. 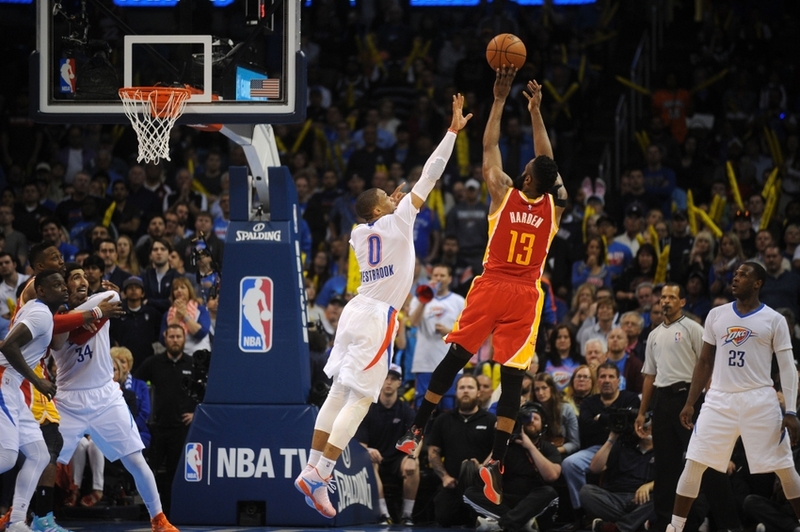 And despite a loss in the Western Conference finals to the Golden State Warriors, Adams has continued his upward trajectory as one of the game’s best young big men, currently averaging 12.2 points and 7.8 rebounds. But while Adams is an emerging star in the NBA, it wasn’t all that long ago that he was an unknown in the basketball world. Heck, it wasn’t all that long ago that basketball itself was basically unknown to Adams. On the most recent episode of “The Sidelines Podcast,” FS1 college hoops insider Evan Daniels welcomed Jamie Dixon, Adams’ former coach at Pitt, to the show, and one of the main talking points was Adams. “I knew his brothers, played against his brothers, played with his brothers, down there believe it or not. He had some brothers who were substantially older than him, and that’s how I knew about him. And his coach was also a guy I played with, so yeah, it was all about the relationship, knowing him and knowing his brothers. First of all, his older brothers were more athletic than Adams? 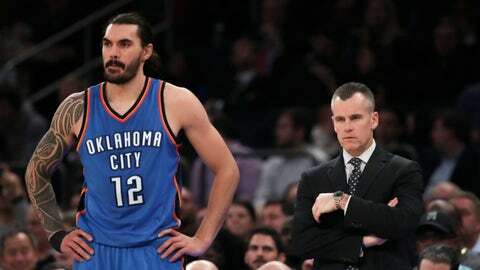 That’s terrifying to think about, and terrifying to think how – with some better coaching when they were younger – the Adams family (bad pun totally intended) might have taken over the NBA years ago the way Steven is now. This old article from New Zealand has an interesting look at Adams’ family history, where at one point at least two of his older brothers were considered good enough to be NBA prospects. And from the time Dixon found out there was a youngest Adams brother, he knew he needed to get him to Pitt. He did, in one of the lowest-maintenance recruitments in the history of college basketball. Did Dixon know right away he had a future NBA player on his hands? “We knew how good he was. Other people didn’t know because he obviously didn’t play much in America. Big kids take a little bit longer. He’s in the perfect place [now in Oklahoma City]. It’s funny, it’s such a small world. He ends up getting drafted by Sam Presti, who is a really good friend, and his coach is Scott Brooks, who was a roommate of mine at TCU my freshman year. So it all goes round and round. From there Dixon shared a number of other interesting stories on Adams’ immersion into the American game. He didn’t arrive in the U.S. until the middle of his senior year of high school, and safe to say, it took him a while to get fully comfortable. Dixon shares a hysterical story about how Adams didn’t fully understand the concept of a tournament and how he only packed one day’s worth of clothes for a four-day trip. At the same time, it also shows just how far Adams has come in such a short amount of time. According to most reports, he didn’t start playing basketball until he was 13, which was around 2007, just a decade ago. Flash-forward 10 years, and he’s one of the most important players on one of the best teams in the NBA. It’s also scary to think about how much better he could be in a year or two. By the way, if you enjoyed the conversation with Dixon about Adams, be sure to check out other editions of “The Sidelines” as Evan welcomes some of the biggest names in basketball to the show. Former guests include Hall of Fame coach Mike Krzyzewski talking about Team USA, Avery Johnson sharing Dirk Nowitzki stories and Dan Majerle discussing his time playing alongside Charles Barkley. You can also subscribe to the show below.